I love Annie's podcast as much as her classes. She's like having an awesome teacher for a friend. Love the podcasts but I wish they were more frequent! 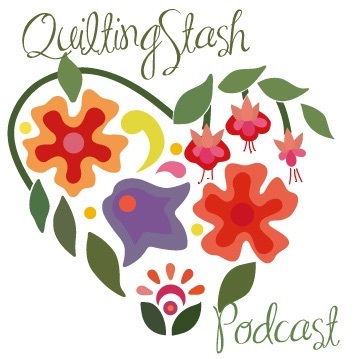 I cant get enough quilty podcasts. If you can stand to hear her say "I just LOVE it" or "I just love, love, love it!" several times per epsisode, and if you have a very high tolerance for sugary sweets, this might be the podcast for you. For me, I skip it unless she is interviewing somebody interesting. I love Annnie's podcast. She is so upbeat and inspiring. Annie has interviewed so many well known quilters and I have enjoyed listening to and learning from each one of them. Who knew that quilters could be so funny? I look forward to her podcasts every week. The recording quality on the interviews has improved greatly from the early days. Annie, you have one of the best podcasts around. You are extremely personable and knowledgeable and although I do more fashion sewing than quilting, you actually inspire me to quilt. I also loved your article in Quilter's Home. Annie is a great host. She is exciting and engaging. I love how involved her family is in her podcast. Thank you Annie for such a wonderful podcast.